The sun. Well, more particularly, the weather. One of the reasons we chose Arkansas for our new home was the hope of milder winters and less snow. 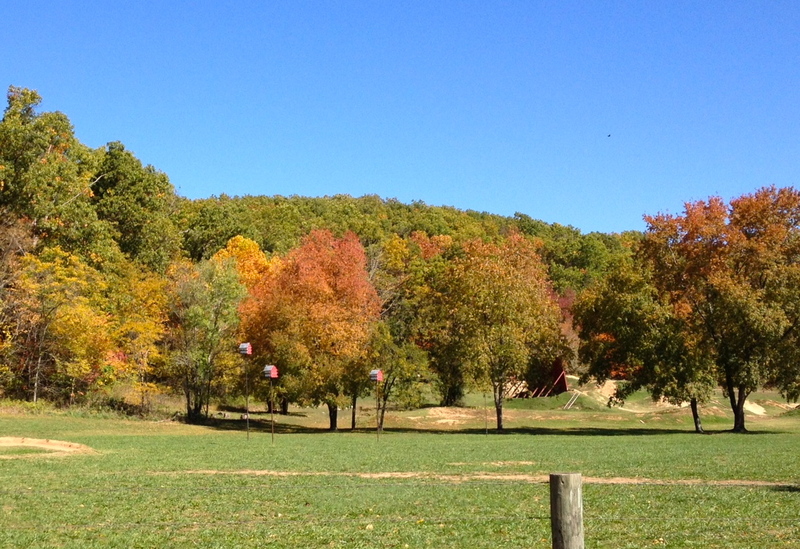 Knock on wood, but so far we have enjoyed an amazing fall and are buoyed by the bright skies and frequent sunshine! This photo was taken along the bike trail between Bentonville and Bella Vista. The Razorback Greenway project is connecting bike trails throughout the area — a huge bonus for living in NWA!